Hi guys, I hope everyone had a great weekend! I know I did! I think because most of it was spent outside and seeing my friends here in town. Spring is starting to show off a bit and especially on Sunday, it was beautiful. 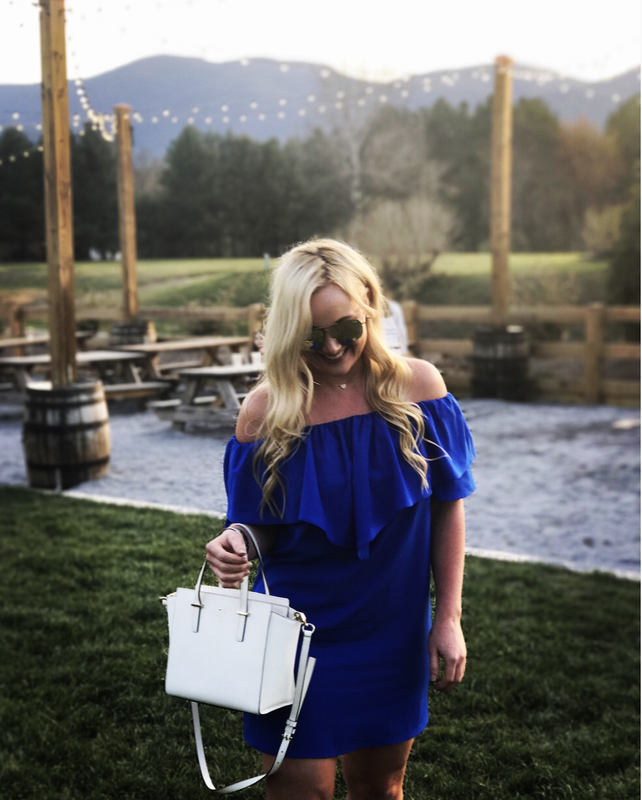 These photos were captured at Blue Mountain Brewery, not only is it a great place for beer and food but the view you get to admired it gorgeous. I found this adorable dress at Bevello. 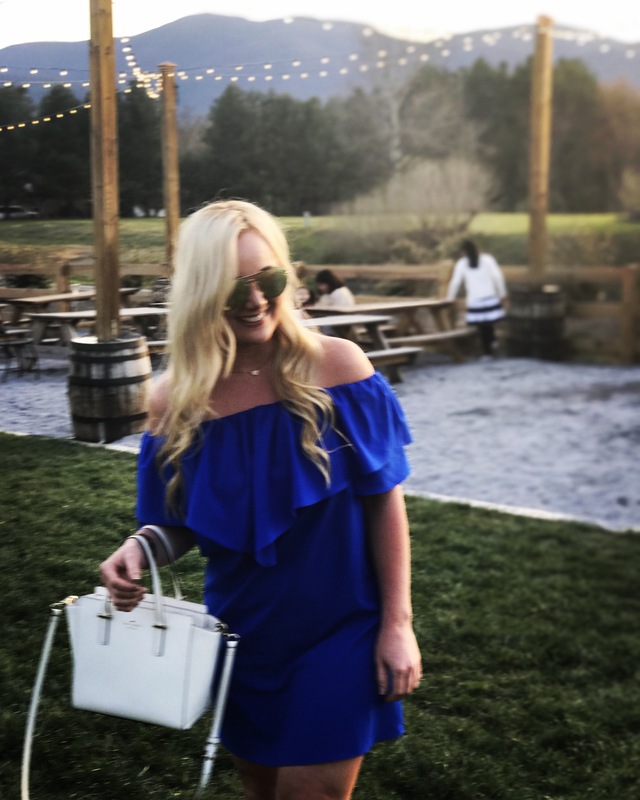 My favorite color blue, off the shoulder and lightweight material make it so dreamy. 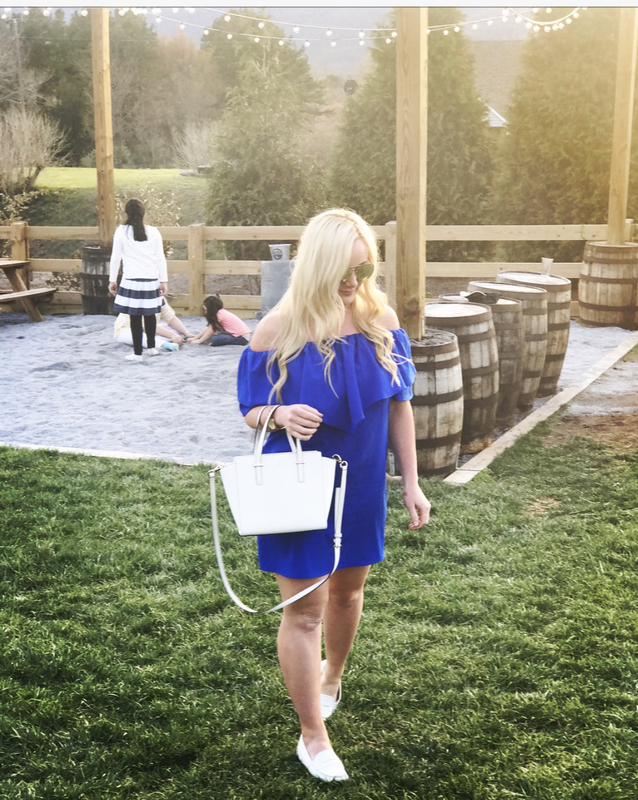 I love the pop of white from my bag that makes the whole look fresh for spring and summer. Take it to the beach, boozy brunch, or a vineyard and you are set. Have a great day and as always, Thank you for stopping by! Tom, your comments always make my day! Thank you, too kind!